252 Chestnut St stands today as Tarot Bean Roasting Company, a community oriented coffee shop and roastery owned by Michael and Tonya Reed. 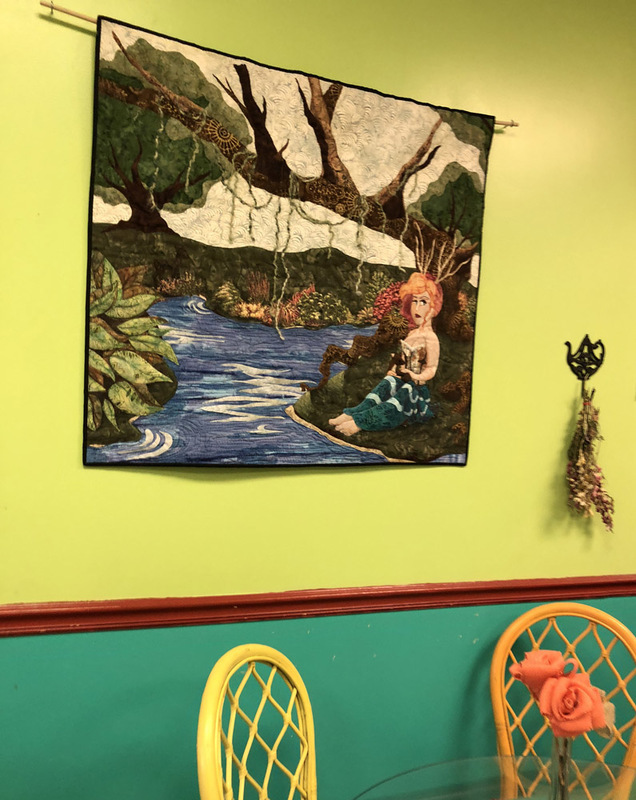 Along with providing coffee, other beverages, and freshly baked goods, Tarot Bean also acts as a gathering space, welcoming formal community events and informal meetings. Inside, the walls are filled with unique and charming art by local artists. The Reeds took a first step in establishing their business when they opened a coffee shop Drogo N' Tuck Artisan Cafe in the Market House. Tarot Bean opened in 2017 in its own space at 252 Chestnut St. with a community-funded interest-free loan of $10,000 from KIVA. 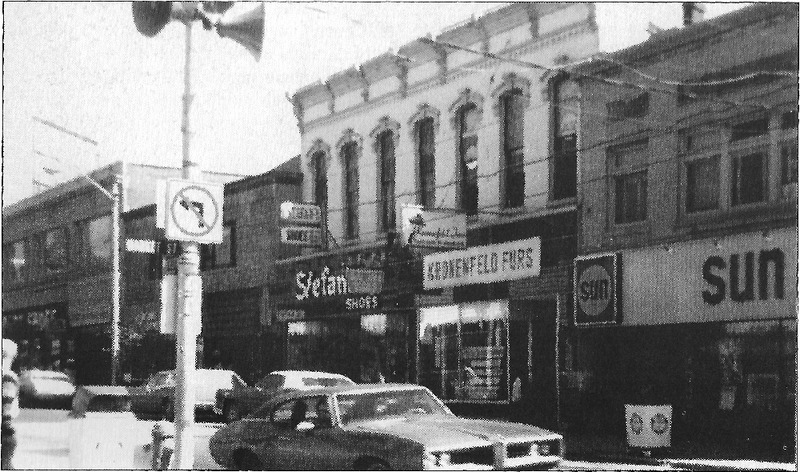 In the heart of downtown, this Chestnut street location has been a vital part of the economy throughout Meadville’s history. In 1886, a wallpaper business owned by George H Clarke is documented there, followed by dry goods and notions stores owned by J.B. Dewoody and D.R. Woodring. H Jacobs & Co. operated a merchant tailors establishment there in 1905. But for over 70 years, 252 Chestnut was known as a jewelry store. Harry E Fabel was there by 1907, having relocated his shop to this larger space from his earlier 234 Chestnut St address. In 1922, he was succeeded by Harry T Charles, who stayed in the jewelry business until 1960. After that, from 1961 until 1980, it was Dean’s Jewelry and finally Zelasco Jewelry until 1989. You can see evidence of this use of the premises from the safe that is still embedded in the wall. 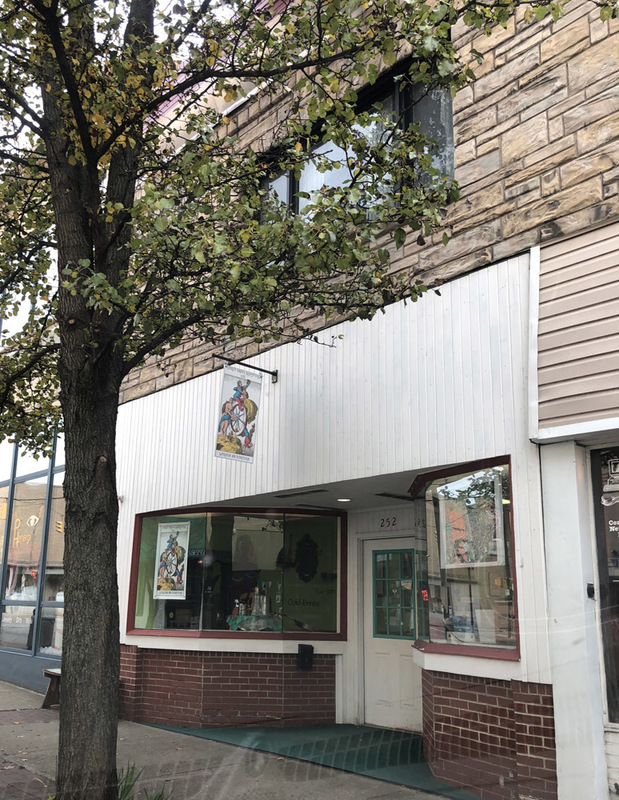 After it was no longer a jewelers, 252 Chestnut Street housed a variety of business, including Linn Farms, the Artist Gallery and Gift Shop, Jeanne’s Candies and Gifts, real estate offices, and a vape shop. Art by Sandra Reaby. : This quilted fabric piece shows a woman sitting by the water's edge. Artist Sandra Reaby is from the Meadville area. ~ Creator: Photograph by Maddie McClinchie. View of Chestnut St.: At middle left, H.T. Charles Jewelers is unfortunately blocked by a street post in this photograph that probably dates from the late 1960s. ~ Source: Courtesy of the Crawford County Historical Society. Reproduced from Anne W. Stewart and Steven B. Utz, Meadville's Architectural Heritage (Arcadia Publishing, 2005), 70. 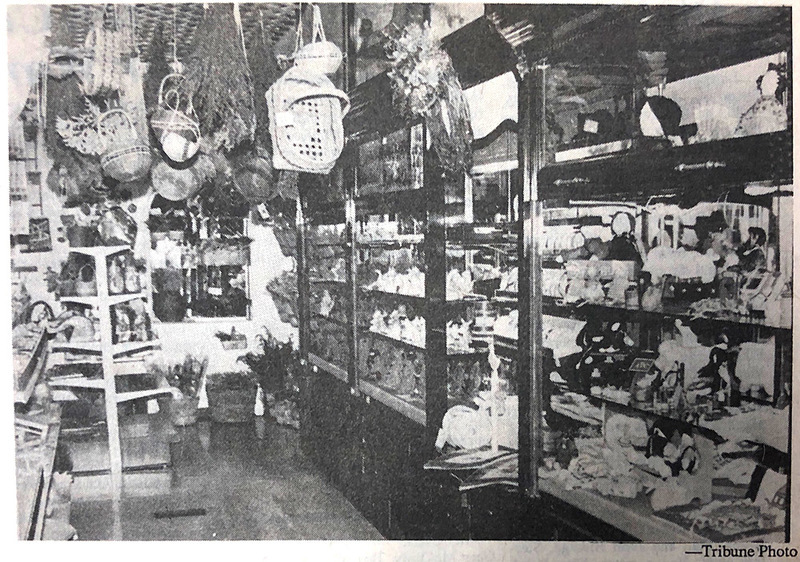 Linn Farms Opens: A picture from the Meadville Tribune advertises the opening of Linn Farms, owned by Marion Linn and managed by Gerry Reuschlein. The store sold items such as lace curtains, doilies, craft supplies, and folk art toys, and offered various crafting classes. ~ Source: Meadville Tribune 27 Oct 1989, p. 5. Image courtesy of the Crawford County Historical Society. 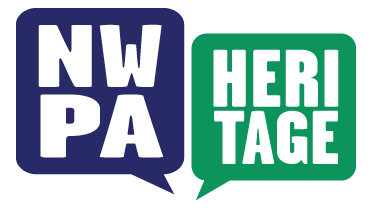 Michael Reed gives advice to a young person starting a business in Meadville. Michael Reed describes the power of working together. 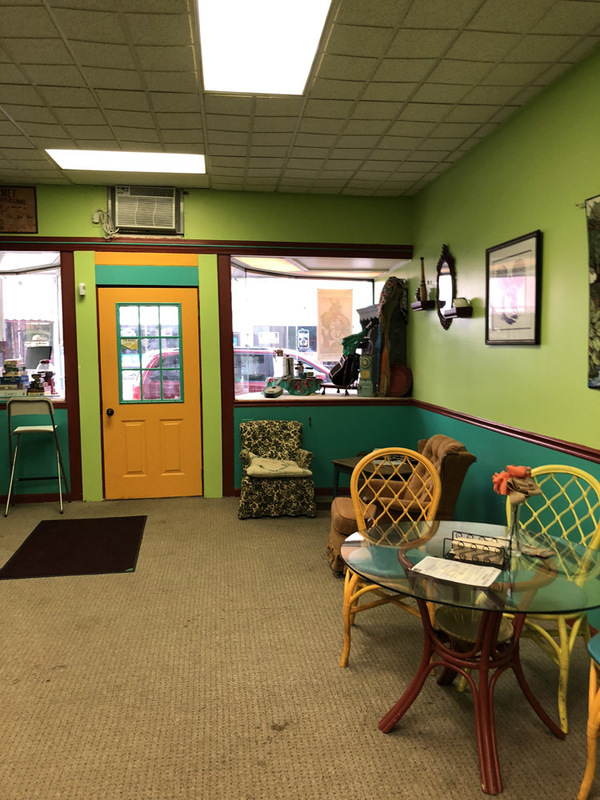 Maddy McClinchie, “252 Chestnut St: Tarot Bean Roasting Company,” NW PA Heritage, accessed April 26, 2019, http://nwpaheritage.org/items/show/56.